The trend of eschewing recommended vaccinations in children is a worrying one. Despite the evidence that suggests many diseases are or have been prevented from becoming endemic due to the use of these measures, an increasing number of parents are refusing to allow their children to be included in the programs involved. This may be due to the popular perception that vaccines may affect the risk of some conditions that manifest in childhood. Disorders of the ‘autism’ type (or spectrum (ASDs)) are those that have become linked to vaccines in the media. There is just one problem with that - the few scientific studies that are held to corroborate this stance have been found to have fundamental flaws. This rendered certain research conclusions invalid, when, in fact, the data in one particular case was later shown to have been falsified. This was the famous paper published by Andrew Wakefield, who was subsequently discredited, and he was stripped of his medical degree. The ‘anti-vaccine’ movement appears to extend to all vaccines for all communicable microorganism-related diseases. For example, the first recorded case of pediatric tetanus in the state of Oregon for 30 years resulted from a failure to vaccinate against this disorder. The patient suffered life-threatening complications, which required USD 800,000’s worth of medical treatment to reverse. This would have been avoided through a course of DTaP vaccine injections. These should be delivered in 5 consecutive DTaP doses, in line with the Center for Disease Control guidelines, and cost about USD 150 in total. When the patients’ parents were informed of this situation, they continued to espouse their previously-held convictions and refused an offer of vaccination for their children after the medical ordeal. However, the similar stance against the measles/mumps/rubella (MMR) vaccine may be even more widespread and pervasive. It is thought by some to increase the risk of ASD, particularly in ‘susceptible’ children, by some. This belief has prevailed despite some studies that have failed to find any link between these two variables. It may have contributed to several measles outbreaks in recent years, to the point at which newly-reported cases were reported to double in 2018 compared to 2017. Measles is a disease that causes a range of symptoms, including diarrhea, coughing, and fever, in addition to its characteristic skin rash. It is also fatal in some cases. The disease is estimated to have killed 136,000 people in total worldwide. Therefore, it is more important than ever to determine whether the MMR vaccine has any effect on ASD. 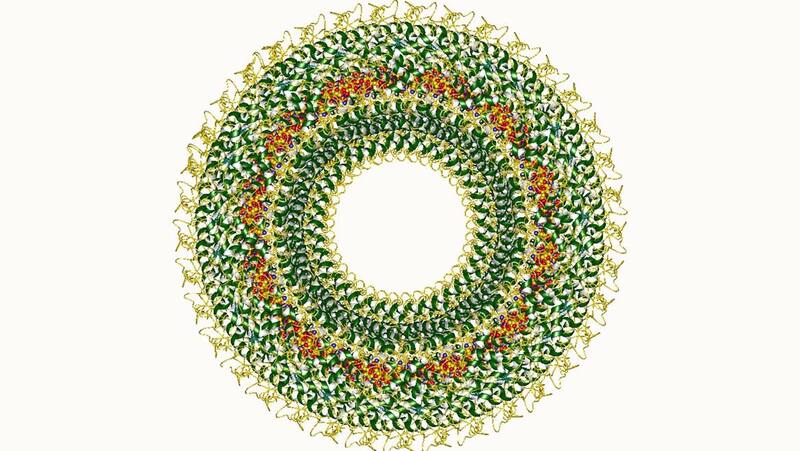 The identification of actual risk, if any, would require a drastic re-think of prophylactic measures against the contagious diseases that the vaccine was intended to provide. The failure to find any such risk, however, would give public health authorities greater license to counter anti-vaccination campaigns as based on no valid evidence. The latest analysis of data on MMR and ASD may have a considerable effect on the debate that rages around these issues. It is an analysis of data on 657,461 children born in Denmark between the years 1999 through 2010. The cohort study’s research team – Anders Hviid, Jørgen Vinsløv Hansen, Morten Frisch, and Mads Melbye of the Statens Serum Institute, University of Copenhagen and Stanford University School of Medicine – compared these children’s data in terms of their status regarding vaccination and the cases of autism among them. The group reported that 6517 (or 129.7 per 100,000 person-years) of these children were diagnosed with ASD across the approximate 5 million person-years of the study’s duration. 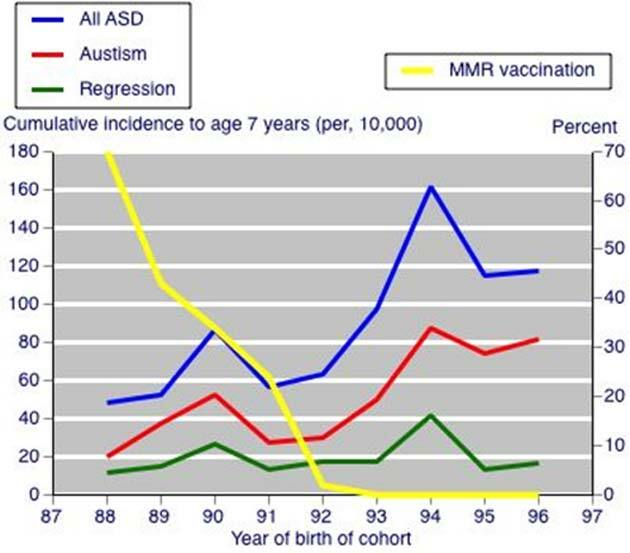 When the children who received the MMR vaccination were compared to those who were not, the hazard ratio (HR) for ASD development calculated as a result was less than one (0.93, with a 95% confidence interval (CI) of 0.85 to 1.02). The same HR did not change significantly when the children were put into sub-groups based on years (1-4 or 4 and more) post-vaccination, autism risk scores (except for the highest of these, with a HR of 1.06 (95% CI 0.85-1.32)) or additional vaccinations (except for a ‘no- DTaP/1Hib’, with a HR of 1.09 (95% CI 0.77-1.56)). However, those increased ratios are not indicative of any considerable increase in risk. The only sub-group in which the HR was greatly increased was the one in which the members had siblings with ASD at one year of age. This variable – a risk factor in itself – resulted in a ratio of 2.69. However, the extremely small size and unbalanced nature of the group (5 ‘unvaccinated’ to 32 ‘vaccinated’) mean its statistical power is reduced. On that note, the wild variation in its 95% CIs (0.58-12.43) leave a lot to be desired. Finally, this HR did not affect the p value of the overall ‘susceptibility’ group (sibling status at one year) for it to be considered significant. It was > 0.20. All in all, the factors associated with the greatest risks of ASD in this study were: male gender, sibling status, autism risk scores and no history of vaccination in early childhood. The HRs for these were all higher than those calculated for the MMR vaccine (4.02 (CI=3.78 to 4.28), 7.32 (CI=5.29 to 10.12), 1.38 (CI=1.28 to 1.48) and 1.17 (CI=0.98 to 1.38) respectively). Certain campaigners may be relieved to note that the latter two of these are considered statistical indicators of mild risk at worst. The Danish team concluded that the MMR vaccine did not affect the risk of ASD in this study. They asserted that the data was appropriately assessed according to the different subtypes of ASD, currently recognized by clinicians in Denmark and elsewhere on Earth (e.g. autistic disorder, atypical autism, Asperger’s, other pervasive developmental disorder, or unspecified pervasive developmental disorder), and also for the ‘regressive autism’ that anti-vaccination proponents results directly from vaccination, and still found no increased HRs or significant associations. On the other hand, it should be noted that this group was, in fact, funded by Novo Nordisk, a pharmaceutical company that is involved in vaccine research and production in Europe. This, then, could be considered a conflict of interest (one that is patently outlined in the text of their paper on this study published in the Annals of Internal Medicine). In addition, the researchers acknowledge that the actual number of unvaccinated children was disproportionately small, as it would be in a developed country such as Denmark. Nevertheless, it remains that this is the largest cohort study conducted that compares the rates of MMR inoculations to those of autism in children and that they did not appear to match up in the data at all. B. Deer. (2011) How the case against the MMR vaccine was fixed. BMJ. 342: pp.c5347. A. Hviid, et al. (2019), Measles, Mumps, Rubella Vaccination and Autism: A Nationwide Cohort StudyMeasles, Mumps, Rubella Vaccination and Autism, Annals of Internal Medicine.